The television special "A Charlie Brown Christmas" debuted in 1965, and CBS was flooded with letters from viewers, thanking them for keeping Christ in Christmas. At a time when network broadcasting aimed to please everyone and offend no one, executives and sponsors avoided religion. Cartoonist Charles Schulz agreed to script a Peanuts Christmas special, but stood firm on two points. First, no canned laugh track would be used. Second, the nativity story from the Gospel of Luke would be included. The true meaning of Christmas had been lost in commercialization, but it would come through for Charlie Brown. 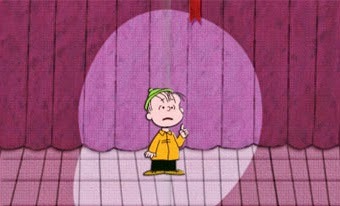 For one whole minute, Linus recited the gospel story. The producer protested. The network executives weren't excited about the finished product. But over fifteen million households watched the show and many were moved to tears as Linus concluded, "That's what Christmas is all about, Charlie Brown." The simple television show that was a hard sell among the executives was deemed a "special that is really special."